REDUCED FROM $19,875!, $1,900 below NADA Retail!, EPA 29 MPG Hwy/22 MPG City! 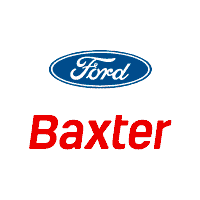 Ford Certified, CARFAX 1-Owner, LOW MILES - 23,712! 4x4, Turbo, Back-Up Camera, Brake Actuated Limited Slip Differential, CD Player, POWER LIFTGATE CLICK ME!KEY FEATURES INCLUDEBack-Up Camera, CD Player, Brake Actuated Limited Slip Differential. Rear Spoiler, 4x4, Keyless Entry, Privacy Glass, Steering Wheel Controls.OPTION PACKAGESEQUIPMENT GROUP 201A SE Convenience Package, Dual Zone Electronic Automatic Temperature Control, rear air duct, Black Roof-Rack Side Rails, Perimeter Alarm, Reverse Sensing System, Radio: Media Hub w/SYNC 3, 9 speakers, SYNC 3 Communications & Entertainment System, enhanced voice recognition, 8 LCD capacitive touchscreen in center stack w/swipe capability, AppLink, 911 Assist and two smart charging USB ports, Power Converter 110V Outlet, ENGINE: 2.0L ECOBOOST GVWR: 4,840 lbs, 3.07 Axle Ratio, POWER LIFTGATE, WHEELS: 17 ALLOY SPARKLE SILVER PAINTED ALLOY (STD). Ford SE with Shadow Black exterior and Medium Light Stone interior features a 4 Cylinder Engine with 240 HP at 5500 RPM*.EXPERTS REPORTEdmunds.com's review says With its quick, precise steering and relatively sharp reflexes Great Gas Mileage: 29 MPG Hwy.AFFORDABLEWas $19,875. This Escape is priced $1,900 below NADA Retail. Approx. Original Base Sticker Price: $27,500*.SHOP WITH CONFIDENCE24-Hour Roadside Assistance, 12 months/12,000 miles Comprehensive Limited Warranty Coverage, Vehicle History Report, 7-Year/100,000-Mile Powertrain Limited Warranty, 172-Point Inspection and Reconditioning, 24-Hour Customer AssistanceVISIT US TODAYBaxter Ford West Dodge, a full-service Ford dealership in OmahaPricing analysis performed on 4/9/2019. Horsepower calculations based on trim engine configuration. Fuel economy calculations based on original manufacturer data for trim engine configuration. Please confirm the accuracy of the included equipment by calling us prior to purchase. Ford Certified, CARFAX 1-Owner. JUST REPRICED FROM $37,489, PRICED TO MOVE $10,300 below NADA Retail!, EPA 22 MPG Hwy/16 MPG City! Nav System, Heated Leather Seats, Back-Up Camera, 4x4, Turbo Charged Engine, Bluetooth, CD Player READ MORE!KEY FEATURES INCLUDEBack-Up Camera, Satellite Radio, iPod/MP3 Input, Bluetooth, CD Player, Dual Zone A/C, WiFi Hotspot, Smart Device Integration MP3 Player, 4x4, Aluminum Wheels, Keyless Entry, Privacy Glass.OPTION PACKAGESLARIAT CHROME APPEARANCE PACKAGE 2 chrome front tow hooks, Chrome Skull Caps on Exterior Mirrors, Chrome Door & Tailgate Handles w/Body-Color Bezel, Chrome Angular Step Bars, Chrome 3-Bar Style Grille w/Chrome Surround, chrome mesh insert, Wheels: 18 Chrome-Like PVD, Single-Tip Chrome Exhaust, EQUIPMENT GROUP 501A MID Reverse Sensing System, Universal Garage Door Opener, Blind Spot Information System (BLIS), cross-traffic alert and trailer tow monitoring (BLIS sensor in LED taillamp), 110V/400W Outlet, Power Glass Sideview Mirr w/Body-Color Skull Caps, power-folding, heat, turn signal, memory and auto-dimming feature (driver's side), Remote Start System w/Remote Tailgate Release, LED Side-Mirror Spotlights, high-intensity LED security approach lamps, ENGINE: 3.5L V6 ECOBOOST auto start/stop, 3.31 Axle Ratio, GVWR: 7,000 lbs Payload Package, MAX TRAILER TOW PACKAGE max towing capability up to 12,200 lbs, and upgraded rear bumper, Note: Ordering the Max Trailer Tow Package does not include Trailer Tow Mirrors, Trailer Tow Mirrors are a standalone option and must be ordered separately, (Option Code: 54M or 54Y/59S), Auxiliary Transmission Oil Cooler, Integrated Trailer Brake Controller, Pro Trailer Backup Assist Was $37,489.Pricing analysis performed on 4/23/2019. Horsepower calculations based on trim engine configuration. Fuel economy calculations based on original manufacturer data for trim engine configuration. Please confirm the accuracy of the included equipment by calling us prior to purchase. REDUCED FROM $13,844!, EPA 36 MPG Hwy/26 MPG City!, $1,900 below NADA Retail! Ford Certified, CARFAX 1-Owner, ONLY 13,802 Miles! CD Player, iPod/MP3 Input, Brake Actuated Limited Slip Differential, Smart Device Integration CLICK NOW!KEY FEATURES INCLUDEBack-Up Camera, Flex Fuel, iPod/MP3 Input, CD Player, Smart Device Integration, Brake Actuated Limited Slip Differential MP3 Player, Onboard Communications System, Aluminum Wheels, Keyless Entry, Child Safety Locks.OPTION PACKAGESTRANSMISSION: 6-SPEED POWERSHIFT AUTOMATIC, CHARCOAL BLACK, CLOTH FRONT BUCKET SEATS 6-way manual driver (up/down, fore/aft, recline), 4-way manual passenger (fore/aft, recline) and removable adjustable headrests (2-way). Ford SE with Blue Candy Metallic Tinted Clearcoat exterior and Charcoal Black interior features a 4 Cylinder Engine with 160 HP at 6500 RPM*.EXPERTS RAVEEdmunds.com explains When it comes to that elusive fun-to-drive factor, for example, you'll find the Focus to be one of the more engaging cars in its class, with nimble handling that doesn't come at the expense of ride comfort.. Great Gas Mileage: 36 MPG Hwy.A GREAT TIME TO BUYReduced from $13,844. This Focus is priced $1,900 below NADA Retail. Approx. Original Base Sticker Price: $18,500*.BUY WITH CONFIDENCE172-Point Inspection and Reconditioning, 24-Hour Roadside Assistance, 24-Hour Customer Assistance, 12 months/12,000 miles Comprehensive Limited Warranty Coverage, Rental Car Reimbursement, Vehicle History Report, 7-Year/100,000-Mile Powertrain Limited WarrantyVISIT US TODAYBaxter Ford South, a full-service Ford dealership in Omaha, is your source for new Ford cars, trucksPricing analysis performed on 4/23/2019. Horsepower calculations based on trim engine configuration. Fuel economy calculations based on original manufacturer data for trim engine configuration. Please confirm the accuracy of the included equipment by calling us prior to purchase.